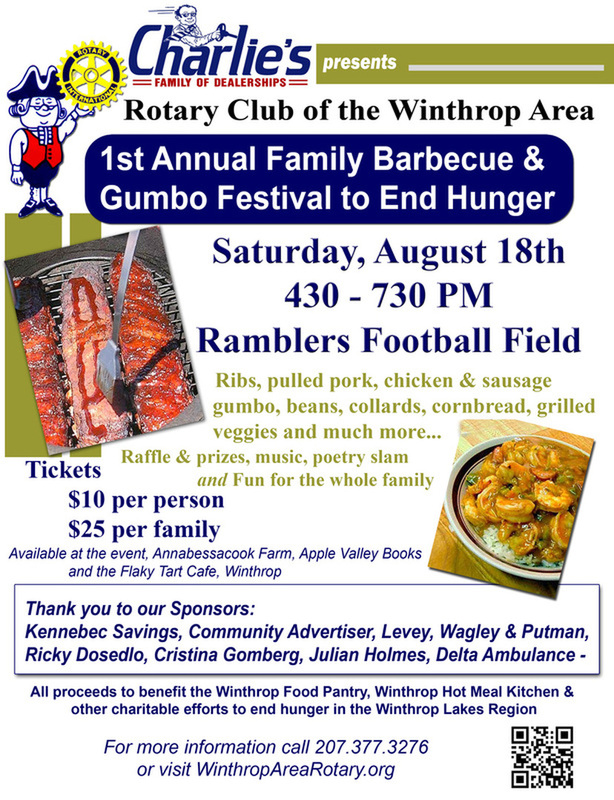 On August 18th we held our first festival to end hunger in the Winthrop area. After months of planning, days of cooking and an early morning rainstorm, we were at it. By 4 o'clock there were folks waiting in line to enter and they continued to arrive until around 7. When it was all said and done, thanks to dozens of volunteers and sponsors we had served 250+ raising $5,550 --- and a great time was had by all! To all, we send a Giant Winthrop Rotary Thank YOU! We hope you enjoy this collection of photos. Levey, Wagley & Putman, P.A.